I have some potatoes left from last year. They were quite scabby. Can I re-plant them now as seed potatoes or should I buy new ones ? You most definitely will have to buy new seed potatoes this year. 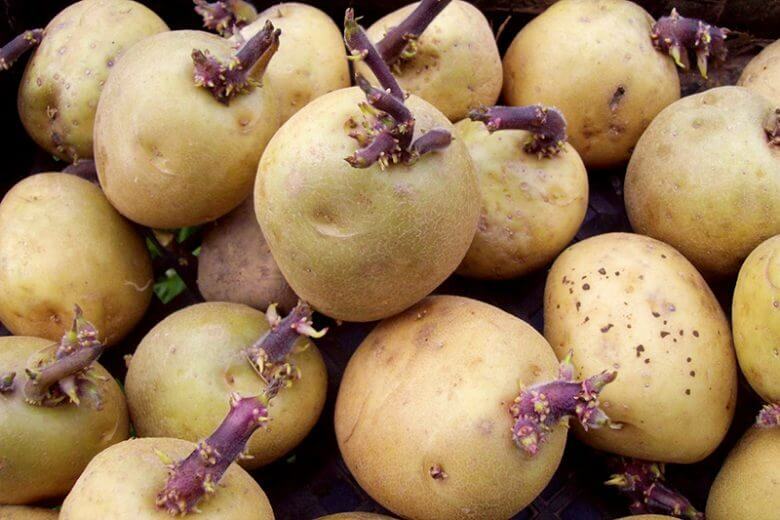 Scab will stay on your tubers and will re-infect the new crops making it worse and worse. There are two types of scab – ‘Common Scab’ and ‘Powdery Scab’. The symptoms are raised, rough patches on the skin of the tuber and occurs when the soil is too dry during tuber formation. The symptoms are irregular brown depressions with dusty brown spores. This is more a problem of wet soils. You can see it’s important to identify which scab you have which is quite easy (either raised or depressed patches). If it’s common scab (raised patches) you will need to keep the soil moist during tuber formation and do not spread lime as the disease prefers alkaline soil conditions. I presume this disease is more prevalent on raised beds. If you have powdery scab (sunken patches) your soil was too wet and you need to look at improving drainage or raise your beds. Sorry for the long answer to your question.